February and March mark the time of year when high school students begin to plan their academic programs for the following year. These decisions are particularly significant because the single most important factor colleges will consider as they review your application is your transcript, which reflects both the level of academic rigor as well as grades. With secondary schools offering many course choices, it can be daunting for students to match their abilities, their intellectual interests, and their desire for a strong transcript with the right program for them. Your Dunbar consultant can help you create a plan that makes the most sense for you at your particular school. We suggest you contact your Dunbar consultant to examine your course selections for next year to ensure that your plan is challenging and you are taking appropriately demanding courses. In addition, we will help you determine if there are gaps in your program that could be filled with a summer course, particularly if you intend to apply to a particular program at a university (i.e., engineering) that has specific prerequisites. We recommend you research what the program expectations are at your “reach” colleges and see if your plan matches their requirements. We also advise that rising seniors follow through in their core academic subjects (English, math, history, science and foreign language) when possible and resist the urge to take easier courses in their senior year. This is the time to consider whether you may be able to succeed in a more challenging academic track or perhaps you need to make an adjustment in a course in which you find yourself struggling. Maybe you anticipate exhausting your high school’s offerings in a particular subject before you graduate and you want to pursue other options. Your Dunbar consultant can help you navigate those choices. If you plan to pursue the IB Diploma, you will be selecting your three Higher Level and three Standard Level courses for the next two years. Be sure to choose the most appropriate courses for your interests and abilities. Now is the time to begin this planning process to create a “road map” for the next three to four years, if you have not already done so. Take the classes at the most advanced level in which you will be successful (earning an “A” or a “B”). 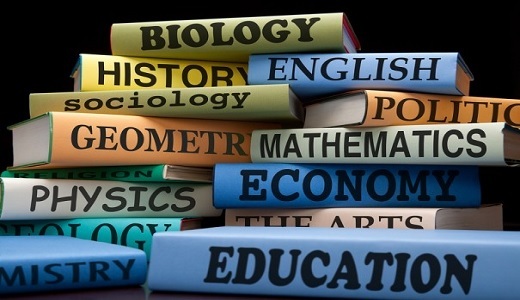 The academic disciplines most valued by the colleges include: English, history, math, science (biology, physics, and chemistry), and a foreign language. Philosophy and government are also valued as courses because they tend to emphasize strong writing skills. In contrast, psychology and economics, for instance, are not as valued in the admissions process. Selective colleges and universities react more positively to those students who have completed math at least through pre-calculus; highly selective colleges will look for calculus. A follow-up at the AP level in at least one of the sciences (after taking the standard lab sciences of biology, physics, and chemistry) shows a stronger program. Persevering through 3-4 years of a single foreign language versus discontinuing one after two or three years and starting another is preferable. Admissions officers at the most selective schools will expect to see AP courses on the transcript if AP courses are offered (or honors courses). They want to know that the student is taking the most challenging courses that are appropriate for them. These are general guidelines for making good curricular choices in high school, but we understand that individuals and particular schools vary both in the range of courses offered, their progression, and individual abilities and interests. Our goal is that every student who works with us will develop the curricular plan that makes the most sense for him or her and reflects the individual characteristics of every student. We look forward to helping you on this journey.